Chiwetel Ejiofor confronts Angelina Jolie in “SALT”. Britain’s “first Black movie star” Chiwetel Ejiofor, OBE. who is still basking in the box office success of 2012 is playing another major role with Angelina Jolie (Evelyn Salt) in SALT, one of the most anticipated blockbuster films this summer. Phillip Noyce directed the film. Chiwetel is a complete actor from the stage to the TV and to the cinema. His awesome talent is a testimony of his genius. His Nigerian father must be smiling at him from heaven with thanks to God for blessing him with such an accomplished son who is making his Nigerian Igbo people proud in the world. Chiwetel was born on 10 July, 1977 in East London and began acting at 13 in school and at the National Youth Theatre. Steven Spielberg introduced him to a wider audience in Amistad and Woody Ellen made him one of Radha Mitchell’s suitors in Melinda and Melinda. “Chewy” (his nickname among buddies) proved his genius as a sadistic crime boss in Four Brothers and then as the Operative in Joss Whedon’s sci-fi flick Serenity that catapulted him to stardom on the silver screen. In Salt, Chiwetel plays Peabody, a young CIA counter-intelligence officer working for Winter, “the mentor of Evelyn Salt, an agent fingered as a Russian sleeper spy. With Peabody in hot pursuit, she must clear her name and figure out the identity of the real spy”. This is a must see thriller. The première comes up on July 23. As a CIA officer, Evelyn Salt swore an oath to duty, honor and country. Her loyalty will be tested when a defector accuses her of being a Russian spy. Salt goes on the run, using all her skills and years of experience as a covert operative to elude capture. 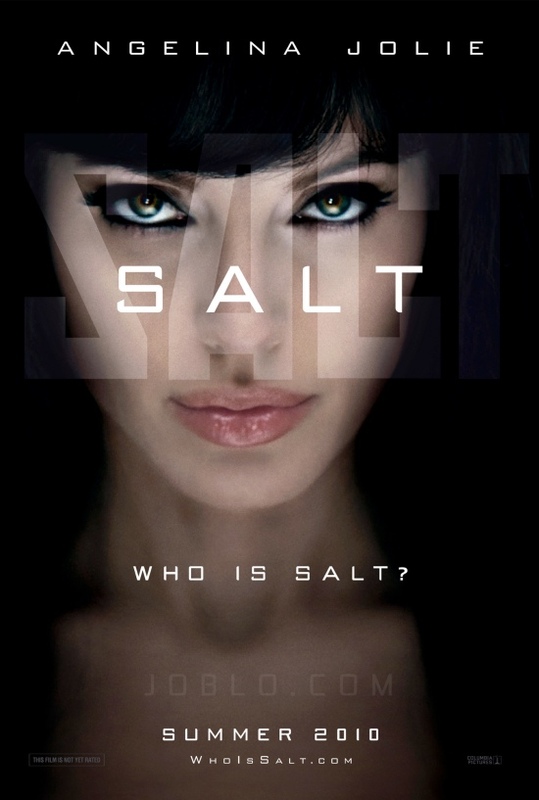 Salt’s efforts to prove her innocence only serve to cast doubt on her motives, as the hunt to uncover the truth behind her identity continues and the question remains: “Who is Salt?” Written by Sony Pictures. 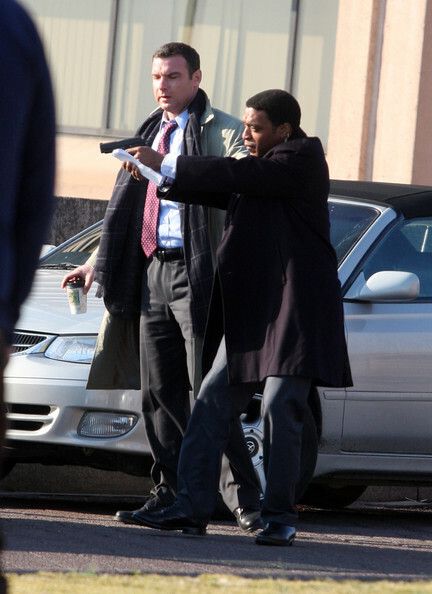 Chiwetel Ejiofor and Liev Schreiber in “SALT”. See more photos of Angelina Jolie, Liev Schreiber and Chiwetel Ejiofor are all seen filming SALT in Washington, D.C.